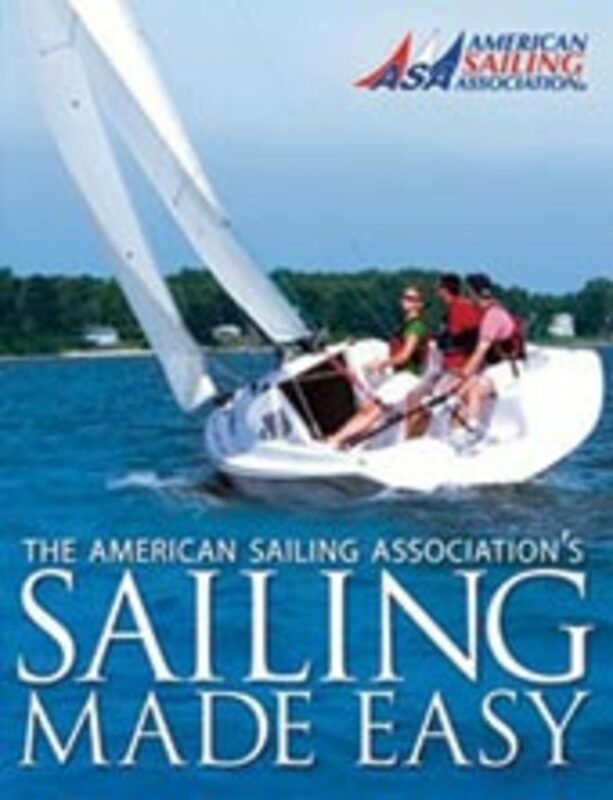 For those who have dreamed of sailing, but are not quite sure where to start, the American Sailing Association provides its "Sailing Made Easy" handbook ($24.95, American Sailing Association, 2010). Bringing together the collective knowledge of eight seasoned sailors, the book covers everything from identifying the boat&apos;s controls to navigation and planning a day sail. The thin and handy softcover manual features full-color pages that are filled with easy-to-follow diagrams, illustrations and photographs to get any boater off to a smart and safe start. The plastic-covered pages make the book water-resistant for use aboard, according to the publisher. 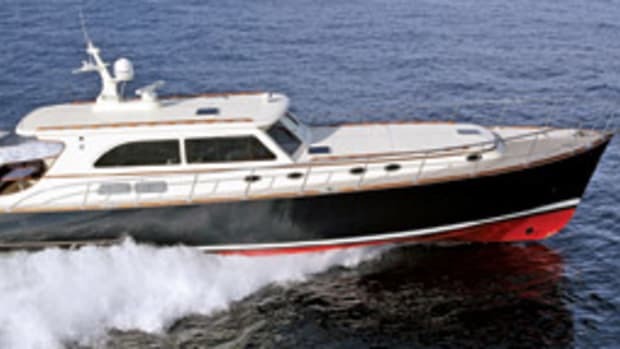 Morris Yachts will hold a service open house May 19 in Bass Harbor, Maine. Those interested are invited to come out for a behind-the-scenes look at the yard&apos;s operations. Special focus will be given to several complete refits and the ongoing process of wet core removal and replacement. Morris Yachts also is hosting the sixth annual Morris Boat Show July 16-18 at its service yard in Northeast Harbor, Maine. Open to the public, this event will showcase dozens of Morris Yachts on the docks and in the sheds. The Chris-Craft Commander Club chose Huron, Ohio, on the shores of Lake Erie as the site of the next official rendezvous. Huron is steeped in rich maritime history, as well as claiming home to many vintage Chris-Craft Commanders, according to organizers. While the event&apos;s focus will be centered around the Commander line, owners of other vintage Chris-Craft models, including the Roamer and Constellation lines, as well as non-Chris-Craft boats, are welcome. Details and instructions for registering for the event will be available at www.commanderclub.com. The public will have a chance to visit Connecticut&apos;s second-oldest lighthouse Sept. 10-11 at the Faulkner&apos;s Island Open House. The lighthouse, built in 1802, is the only active light station on an island in the state. 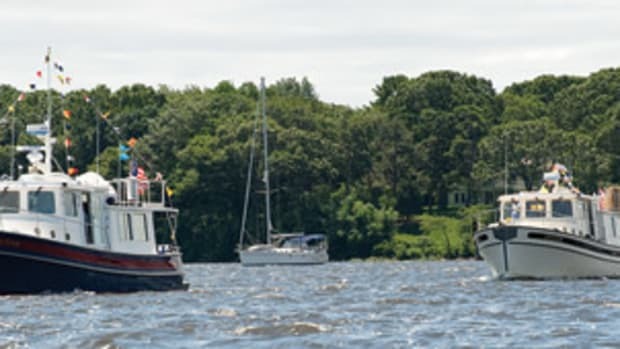 Faulkner&apos;s Island is about 3-1/2 miles off Guilford, Conn.
TowBoatUS Old Saybrook, the on-the-water towing company that helps boaters on Long Island Sound and the Connecticut River get safely home after a breakdown, has a new owner. Capt. Dave Hoblin, a captain with the company for 10 years, recently purchased the business, located at Between the Bridges Marina in Old Saybrook, Conn. The Coast Guard-licensed Hoblin, who originally hails from Chester, Conn., says he grew up in a boating family and has scraped, sanded and painted more boat bottoms than he cares to remember. He has also served in the Air Force and Connecticut Air National Guard as well as stints with private ferry, research and pilot boat operations. He currently resides in Old Lyme, Conn., with his wife and three children. 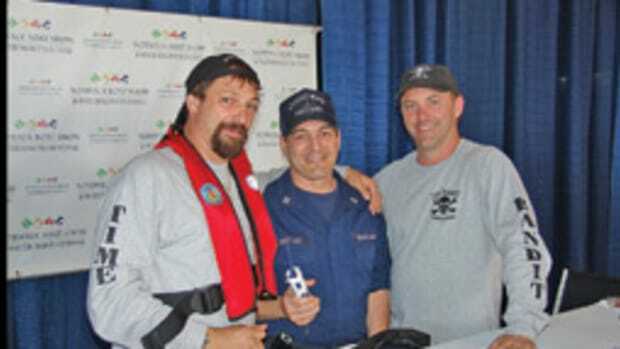 Contact TowBoatUS Old Saybrook (860) 514-0877 or visit www.boatus.com/towing for information. "Boat. Fish. Live." will be the theme of National Marina Day June 12 with marinas across the country hosting events where consumers can participate in boating and fishing demonstrations, test drive boats, educational activities and more. 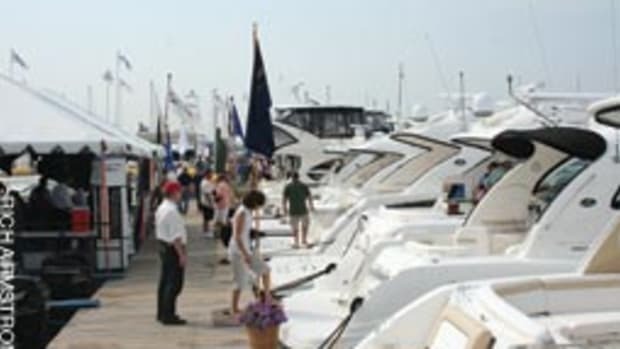 Marinas selected so far to host events are: Anchorage Marina in Baltimore; Aqualand Marina in Lake Lanier, Ga.; Bill Bird Marina at Haulover Park in Miami; Callville Bay Resort & Marina in Lake Mead, Nev.; Colony Marine at Algonac Harbor Club in Algonac, Mich.; Grande Dunes Resort & Marina in Myrtle Beach, S.C.; Marina Bay at Boston Harbor in North Quincy, Mass. ; New Rochelle Municipal Marina in New Rochelle, N.Y.; and Scotts Landing in Grapevine, Texas. The Montauk Marine Basin will host its 40th annual Shark Tag Tournament June 24-26. This year&apos;s annual shark tournament will be in memory of Capt. Carl Darenberg Sr., who died Dec 29. A longtime fisherman and Montauk resident, Darenberg started the Montauk Marine Basin in 1955, running the business with his late wife, Vivian, and their sons. During his 60-year fishing career, he also captained several charterboats, including Tumult, Hypo and Fortunate. This year&apos;s tournament will have a limit of 150 boats, and a total prize-money purse of $50,000 in cash. The Montauk Marine Basin is 426 West Lake Drive, Montauk. For information, visit www.marinebasin.com or call (631) 668-5900. Three Belles Marina has become an authorized Mercury Dealer, now selling Mercury outboards on site, plus providing service and technical support to Mercury owners seven days a week. Three Belles Marina, in Niantic, Conn., is a family-owned full-service marina that provides wet slips, inside and outside valet rack service, moorings, dry-land trailer boats and winter storage services to customers throughout Connecticut, Rhode Island, Massachusetts, New York and New Jersey. This article originally appeared in the Connecticut and New York Home Waters Section of the June 2010 issue.